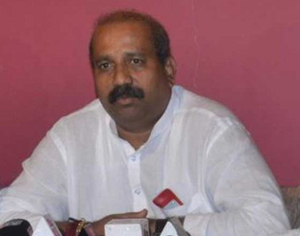 Udupi, Mar 29, 2019: K. Raghupati Bhat, MLA and senior Bharatiya Janata Party (BJP) leader, said on Thursday that Pramod Madhwaraj had confused Congress workers and supporters in the district by filing his nomination papers as Janata Dal (Secular) candidate for Udupi-Chikkamagaluru parliamentary seat. Addressing presspersons here, Mr. Bhat said that the Janata Dal(S) had also got Bengaluru (North) parliamentary seat during the seat sharing arrangement with the Congress. Later, the Janata Dal(S) could not find a suitable candidate and approached Congress leaders Krishna Byre Gowda and B.L. Shankar, but both of them refused. Finally, the Janata Dal(S) returned the seat to Congress. But in the case of Udupi-Chikkamagaluru seat, Mr. Madhwaraj had approached the former Prime Minister H.D. Deve Gowda and Chief Minister H.D. Kumaraswamy and assured them of fighting the elections as a Janata Dal(S) candidate instead of seeking the seat for the Congress. Other Congress leaders such as Arathi Krishna and Vinay Kumar Sorake refused to fight as Janata Dal(S) candidates, he said. “Mr. Madhwaraj did this only because of his hunger for power. He betrayed the Congress which had made him an MLA, a parliamentary secretary and then a Minister. Fighting under the Janata Dal(S) symbol makes no sense as that party does not even have a single gram panchayat member in Udupi district,” he said. Mr. Bhat said that Mr. Madhwaraj had knocked on the doors of the BJP during the 2018 Assembly elections. When there was no response from the BJP, he sought Congress ticket. “Now, he has given up the Congress and chosen the Janata Dal(S). Voters will teach Mr. Madhwaraj a lesson for betraying the Congress,” he said. Mr. Bhat said that the old Congress voters knew only the symbols of the Congress and the BJP and not that of the Janata Dal(S). Hence, they would vote for the BJP in the absence of the Congress symbol on the ballot paper. “Our candidate, Shobha Karandlaje, will win by a bigger margin in the constituency compared to the 2014 parliamentary polls. Our target is to give a lead of over 40,000 votes in the Udupi Assembly constituency to Ms. Karandlaje,” he said. Mr. Madhwaraj was wrong in targeting Ms. Karandlaje and the Union government for the sand removal problem in the district. In fact, Mr. Madhwaraj, as Minister in the Siddaramaiah government, was responsible for the sand removal problem in the district, Mr. Bhat said. Prabhakar Poojary, Shreesha Nayak, Mahesh Thakur, Upendra Nayak, BJP leaders, were present.